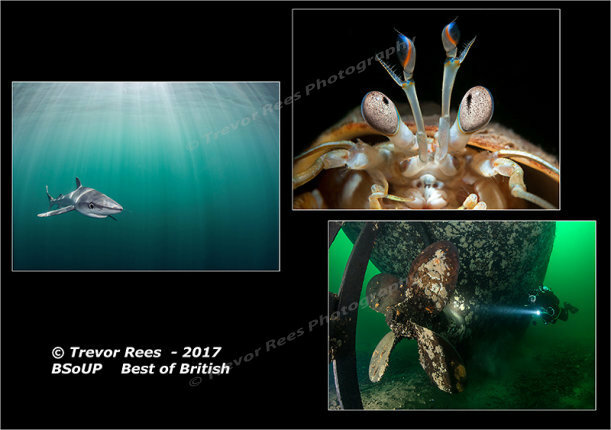 A portfolio of 3 images entered in the British Society of Underwater Photographers "Best of British" portfolio competition 2017. 3) Diver on Stanegarth tug boat wreck, sunk at Stoney Cove. Camera Nikon D600 with Sigma 15mm for wide angle images and Nikon D90 and Nikkor 60mm for close up image.